Home Designer Pro is 3D architectural software for residential home design. Discover why millions of do‑it‑yourselfers use Home Designer from Chief Architect software as the home design software product of choice to create their dream homes. 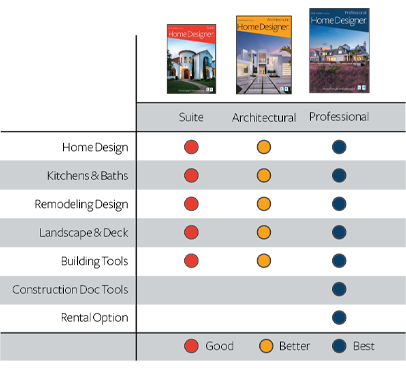 Why Choose Home Designer Pro? Home Designer Pro automatically generates fully editable framing including joists, rafters, trusses, beams, posts, and more. Choose from multiple framing types such as lumber, steel, or engineered materials. You can start with an automatic roof, then customize it to suit your needs or start from scratch and draw your own manual roof planes. Ceilings are automatic in Home Designer. You can also draw your own custom ceiling planes for specialized designs. Create scaled blueprint‑style layouts with 3D, CAD, cross‑section/elevation, and plan views. Home Designer Pro unlocks full control of your straight or curved staircase's shape, starter tread, tread width, and more. Customize the construction of walls, floor structures, platform heights, mudsills, framing, and more. Create horizontal and vertical layouts for doors, drawers, and appliances on any cabinet. Create entertainment centers and vanity cabinets with doors on one side and drawers on the other. Place objects and lighting inside of your cabinets and define multiple styles for doors, drawers, and hardware. 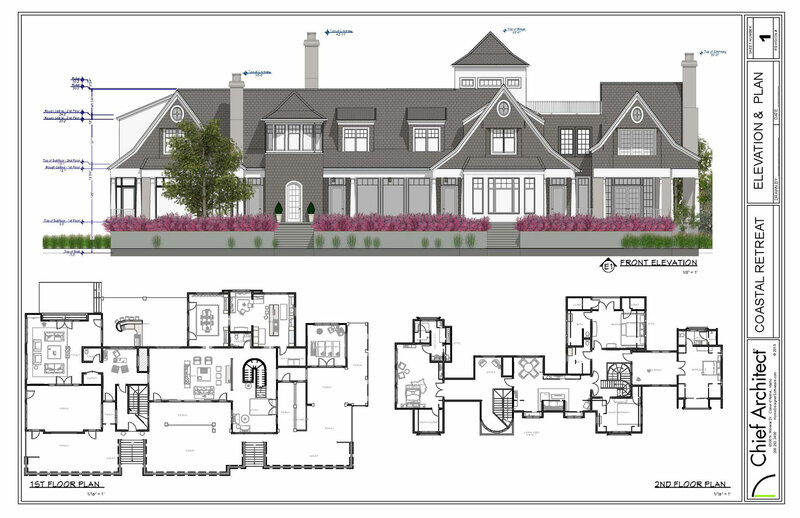 Create relevant details of the interior or exterior of your design for precise plan editing. Detail cross‑section views with insulation, cross‑boxes, blocking boxes, and more. Includes angular and point‑to‑point dimensioning tools. Adjust your settings to quickly dimension to specific objects and locations. Save snapshots of your materials list at different stages of the project to evaluate and compare cost differences. Add detail to each individual component and then store it to your master list for use in future projects. Create 3D objects (such as countertops, slabs, terrain features, and more) from 2D CAD shapes. Create watermarks and display them on your work. Control location, size, angle, and transparency. Add images to your watermark, such as your company logo for better branding. Create sun angles with accurate longitude, latitude, date, and time; use the North pointer as a bearing for the sun angle. Use multiple sun angles for different saved cameras.